If you’ve signed up for my weekly newsletter, I announced that I will begin my Holiday Gift Guides. 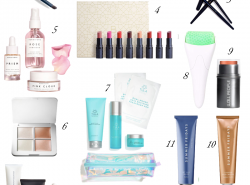 For my first gift guide of the year, I started with a holiday gift guide for the hostess. I started with this gift guide because I don’t know about you but my calendar is starting to be filled up with holiday parties, festivities, and gatherings. I always enjoy giving the host or hostess a gift, and I usually like my gift to be something that they find useful for the party they’re hosting or eventually will be using in future. Or what if you are hosting a holiday gathering? Hopefully you can find something for yourself that will make your party a little extra special! Out of all the items listed in this gift guide for the hostess, the one that I consider a foolproof gift is the monogram mugs. They’re affordable, cute, and I noticed that anyone that has received them geniunely loves them. I own this version of the monogram mug and I love it! I love it so much that I started collecting all of Anthropologie’s monogram mugs, haha! The one listed in this gift guide is their latest version. So if you’re stuck trying to figure out what to give anyone this holiday season, this mug is guaranteed perfect for anybody (not just for a host/hostess). With that said, today is my first giveaway of the holiday season. Check out the details below! 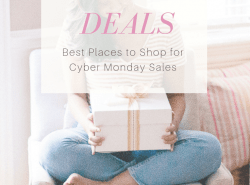 I love Holiday gift guide seasons because it really does help me with figuring out what to buy for presents! Yay so glad you find them helpful! I have more lined up! Such a great gift guide ! Very helpful! So many great picks! Love the apron and cheese boards. So chic! Lovely inspiration! I’d love for someone to buy those marble boards. Perfect for entertaining! Also, what an awesome giveaway!! Perfect guide. How cute is that apron! Love the gift guide, Rach! So many great items! I would be even more of a hostess if I had that bar cart and those pretty marble cutting boards. Great hostess picks! I love those marble trays! So many great goodies!!! I need to get that cheeseboard!! Love! Great selection! Esp the Martha Stewart cookbook! Ahhh there’s so many great gifts on this list! I would be happy with all of them! I love that marble cheese board, how cute is that! Also, that adorable polka dot apron! Whoops! Of course I copied the wrong link!! Sorry! Haha it is okay! Thank you Denise! I can’t believe the holiday season is upon us! Love your picks especially that bar cart! Right?! It is creeping up on us so soon! Thank you Kim! I think it is a great way to thank the host! I’m not sure how practical it is to show up to a party and give your hostess a bar cart, but hey, it sure is gorgeous! Haha no. I was thinking along the lines if you yourself is hosting. I clarified in the content that this is for someone who is hosting (could be yourself!). Thanks so much! I love all of your picks! And I especially love this magical time of year. I spent most of the day entering the giveaway and making sure I didn’t miss a step! I would spoil my entire family for Christmas if I won! Extremely grateful for the opportunity! Thank you! Thank you so much Toniann and best of luck of! That would be an incredible gift! Such great picks! I am so excited the holidays are here! I could definitely use some new gift ideas. I always get the same old, boring gifts for people haha. The apron and wine glasses are my favorite. Such cute gift ideas! THey’re so perfect for hosting! Ohhhmmy lovely gift ideas. I love the apron and cocktail shaker. It’s a nice giveaway too! Nice post, I like these gift ideas! Thanks for sharing! Such an awesome list dear!! Me encantó la camarera y la coctelera, vamos todos están genial pero si tuviera que elegir me quedo con esos dost. Awesome gift ideas.. Love all of these..Wonderful post dear! Love this holiday guide babe! 14 mugs aren’t really my style, but I would loooove to take everything else in this post! For example, that apron and cart. Oh my. Love them. They are really a crowd pleaser! I love this gift guide! I have my eye on a gold bar cart with our new home decor! Thanks Jessica! Bar Cart is such a great home decor piece and so functional! I have never needed gift guides as much as I need right now, thanks for sharing! Hopefully I am able to help! I’ll have more guides throughout the season! Okay, I need that bar cart and those marble boards!! Right?! I want it in my home haha! These are really cute picks dear. I love the Felt Wreath and the Honey Pot. Really cute! Ooh, I might have to pick up those holiday pot holders!! 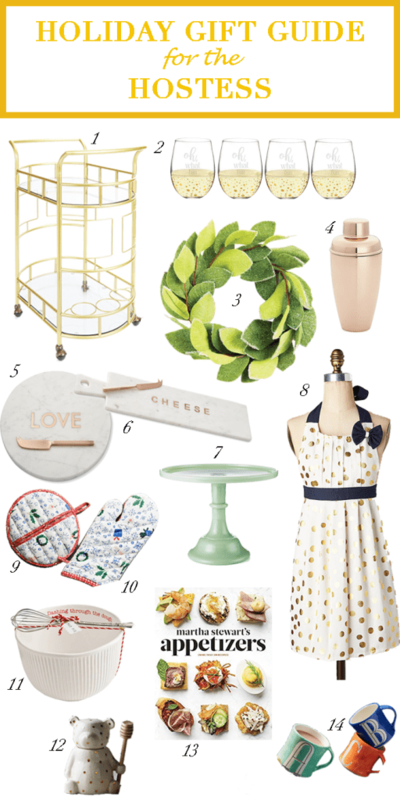 This is such a fantastic gift guide.I rally love all your picks and I am loving that jade cake tray! It’s so nice! Thank you so much Wanda! I really hope you found this helpful! I own the Jade cake stand and I Love it. I mostly use it as a decor piece haha! Such a great gift guide! I’m loving everything on this list.